Stk# KH336429. MSRP $47,593. $3,295 cash due at signing includes $2,001 down payment, $0 security deposit, $895 acquisition fee and first month's payment. 39-month lease. Excludes retailer fees, taxes, title and registration fees, processing fee and any emission testing charge. Supplies are limited. For well-qualified lessees as determined by approved lender. Lessee responsible for insurance, maintenance, excess wear and excess mileage over 30,000 miles at $0.30/mile. Offer expires 4/30/19. Stk# KA206612. MSRP $61,003. $4,995 cash due at signing includes $3,401 down payment, $0 security deposit, $895 acquisition fee and first month's payment. 39-month lease. Excludes retailer fees, taxes, title and registration fees, processing fee and any emission testing charge. Supplies are limited. For well-qualified lessees as determined by approved lender. Lessee responsible for insurance, maintenance, excess wear and excess mileage over 30,000 miles at $0.30/mile. Offer expires 4/30/19. Stk# KA23846. MSRP $71,714. $4,995 cash due at signing includes $3,301 down payment, $0 security deposit, $895 acquisition fee and first month's payment. 39-month lease. Excludes retailer fees, taxes, title and registration fees, processing fee and any emission testing charge. Supplies are limited. For well-qualified lessees as determined by approved lender. Lessee responsible for insurance, maintenance, excess wear and excess mileage over 30,000 miles at $0.30/mile. Offer expires 4/30/19. Land Rover Albuquerque has a great selection of pre-owned vehicles. Check out our current offers on Certified Pre-Owned Vehicles! Thanks for stopping by our website! At Land Rover Albuquerque, we proud to offer an innovative, customer-approved car-buying process. We like to make buying a Land Rover with us fun, easy, and as cool as our Land Rover models. Read on to find out more about how we work, including how we utilize our online tools to make purchasing your next Rover as convenient as possible. Our dealer at Land Rover Albuquerque knows there’s a Land Rover model for every lifestyle. With our extensive inventory, you’re guaranteed to find the perfect Rover for all your daily and long-term driving needs. Check out models like the Land Rover Discovery, or the Range Rover Sport, right in our online inventory. You can get the details on each model, and be ready for a test drive by the time you arrive at our showroom. Financing is the next step in your Land Rover purchase, and when you work with us, you’ll be set up with an expert finance team to help you choose the financing options that are best for your budget. With our longstanding relationship with banks and lenders in the area, you can rest assured you’ll be in great hands when deciding on the right loan. Plus, we’ll help you along the way to translate any financial lingo or terms that might seem confusing at first. Getting started is easy, too, with our online finance form. No matter what your credit history, we’ll work with you. Just fill out your information, and we’ll get it processed and ready to go by the time you reach us. When you purchase a Land Rover with us, we want to do what we can to help you ensure your vehicle is always running like new. That’s why we have a service center located right onsite, so keeping up with maintenance is always easy and convenient. From oil changes and tire rotations to more complex part replacements, our highly qualified and experienced auto technicians can tackle any problem you present. Our goal is to continue to keep our customers happy in their Land Rover for years down the road. You can easily schedule service online, too! Simply fill in your information, some vehicle info, and your desired appointment date and time, and we’ll contact you to confirm via your preferred contact method. Visit Us at Land Rover Albuquerque! If you are in the areas of Albuquerque, Rio Rancho, or South Valley, and in the market for a new Land Rover, stop by our showroom today, or schedule an appointment online! We’ll get you set up in the Land Rover that’s right for you, and get you driving away in your new ride in no time. Although I didn't purchase a vehicle, I must say, very nice people at this dealership. Larry the salesman, is terrific! They have beautiful vehicles and I most likely will be back soon as I'm still looking for the right new vehicle!! Took a used LR4 in for an inspection before buying. My father-in-law and I were treated promptly, courteously, and fairly. One of the best service experiences either of us have had at a dealer. JC inspired much confidence in future service visits! 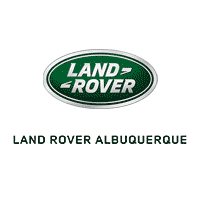 JC at the Albuquerque Land Rover dealership was extremely helpful in addresses, managing, and overseeing the repairs and maintenance to my Land Rover. He made time for my specific concerns, had the repairs fully completed the next day, and was a total pleasure to work with! I recommend Albuquerque Land Rover to all of my friends and family! Thanks JC! Had the parts for my XK8, and very easy to work with!